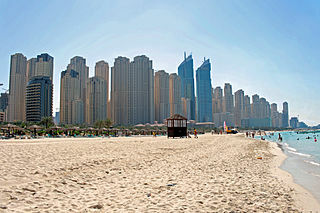 Dubai is a favorite destination for Costamar travelers from Latin America in asia. Different and unique atmosphere will delight every visitor. For six days, you will be invited to visit some unique places around Dubai. The beauty of Jumeirah mosque will be the first destination along with costa mar guide. Followed by shopping rare pearl in the most famous market of Bastakia. Not far from the Bastakia house, you can see a collection of the Dubai Museum which is located in Al Fahidi Fort. Accompanied by a driver who can speak English,travel will be more enjoyable. Don’t forget to ride the water taxi that will take you down to a saltwater canal. In the afternoon, you can go back to the hotel and enjoy a Dhow Dinner Cruise that presents a wide variety of culinary delicious buffet and a variety of fancy drinks from all over the world. From this cruise, you can see the beautiful view of Dubai at night. so fantastic and elegant. The next day, you will be invited to go to Abu Dhabi. The first stop tourists attraction from Costamar travel is to see the beauty and luxury of the stunning Sheikh Zayed Grand Mosque. The beauty architecture of the Sheikh Zayed Grand Mosque is the best asset and most valuable owned by the UAE society. Sheikh Zayed Grand Mosque was built in honor for the founder and father of the United Arab Emirates people. Next you will visit the most spectacular hotels in Abu Dhabi, the Emirates Palace. Once satisfied with the amazing design of the Emirates Palace, the journey will continue to the Heritage Village. In this place, travelers will be familiar with the development of Dubai city from time to time, since the first oil discovery in Dubai to become an exclusive tourist attractions of the rich people from all over the world. Don’t forget to take photos of Formula – 1 circuit and visit the very famous attractions of Ferrari World on Yas Island. It is time to visit the real Arab world, The Desert. Before exploring the desert, you would try a thrilling adrenaline activities. By driving a 4×4 jeep, you will be taken up and down the hills of the desert at high speed. Don’t worry, because the package of costa mar travel is very safe because it uses a special car and driven by professional drivers. Before returning to the Bedouin Camp, let us pause in the middle of the desert to enjoy the beauty of a spectacular sunset. This tour was very memorable experience and will not be forgotten. Once satisfied playing in the desert, it’s time to relax while enjoying a glass of traditional Arabic coffee that makes spirit awake. Before tasting the typical barbeque dinner and play with campfire, Travelers usually can have the opportunity to try riding a camel. An incredible experience. Dancing with the belly dancer will be the last entertainment before a good night’s sleep on the way back to Dubai. Last day in Dubai, you are free to go anywhere. Usually tourists are advised to sunbathing and playing on the beach, souvenir shopping of Dubai, touring around the city, visiting some interesting places in Dubai and surrounding areas, or along the bay and the ocean using a mini cruise ship. It’s up to you, Dubai has many tourist ideas varied, unique and fun. During your stay in Dubai, Costa Mar Travel will pick Movenpick Bur Dubai as your main Hotel. This Five Star hotel is very convenient to travel with someone special and families. The tasty morning breakfast and good service will make the holidays more enjoyable. Cost of services for costa mar package tours to Dubai usually included facilities, Airport Transfers, Dinners, Lunch, Breakfast, Medical Assistance Card, and all entrance fees for available local tour in travel package.